Here is your very quick and apt Sunday Fresh Korean word of the day. 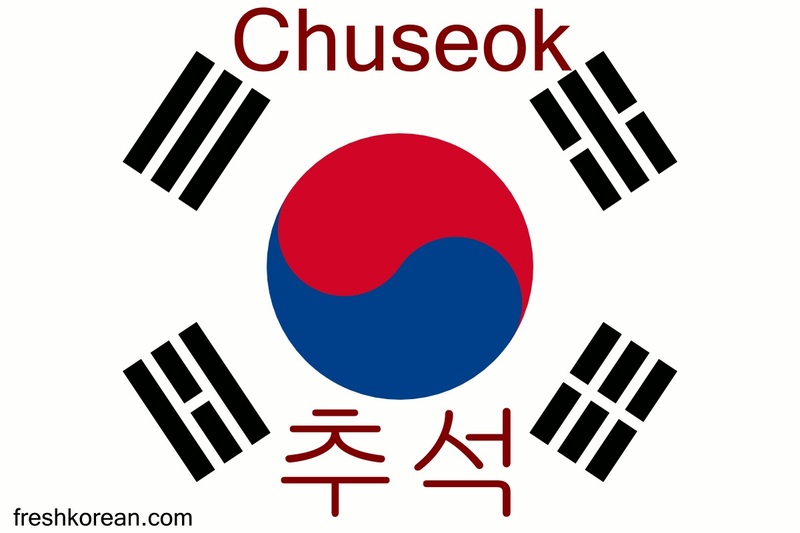 Today’s word is of course Chuseok or 추석 in Korean or Harvest Festival in English. Have a Chuseok nice weekend. Here is your very quick Saturday Fresh Korean word of the day. The word is Outside or 외부 in Korean. We picked this word as this weekend is Chuseok and you should really try and spend a little time outside. Have a Chuseok nice weekend. Welcome back for this weeks final bathroom related word of the day. 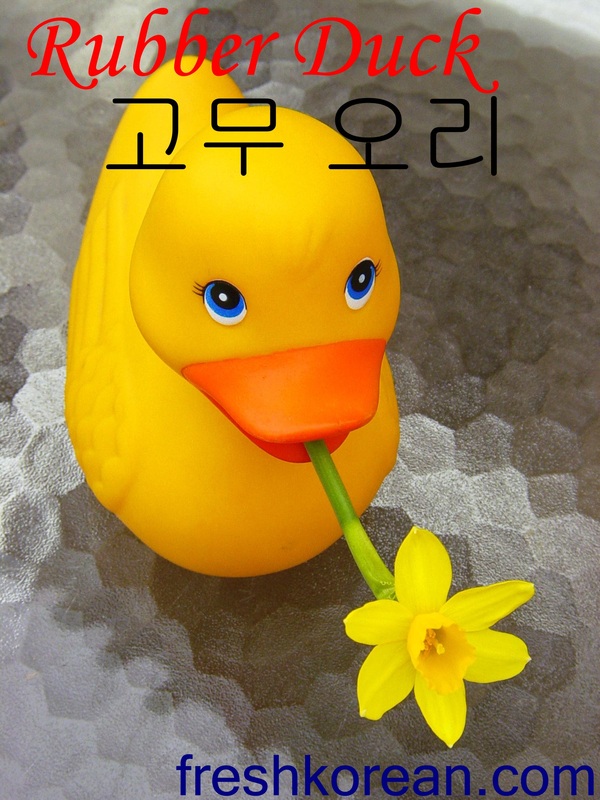 Moving along from yesterdays word Toilet Paper we have a bathroom favorite for many kids around the world Rubber Duck or 고무 오리 in Korean. Thank you for your time today and we wish everyone a very enjoy Chuseok Weekend. 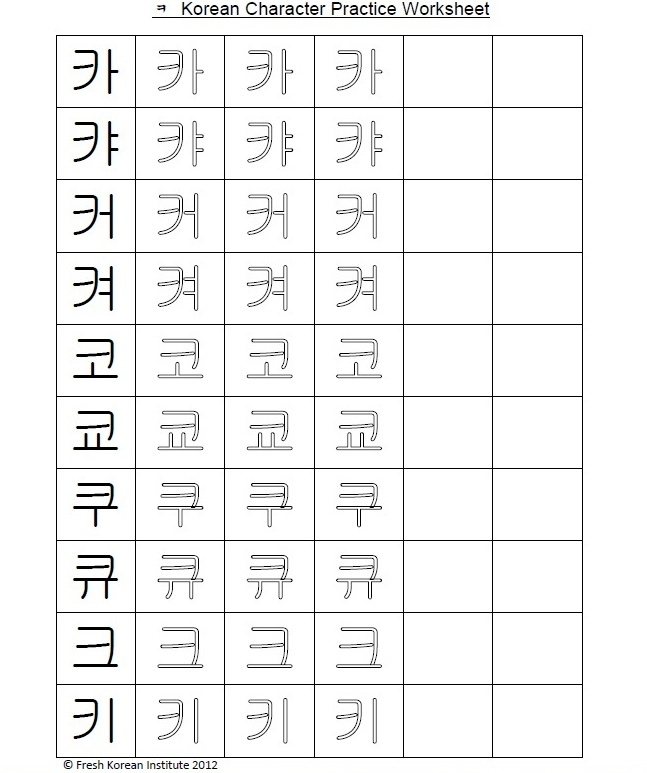 Please enjoy learning to write in Korean with part 11 of our practice Korean writing series. If you have missed any of the previous 10 parts please CLICK HERE to catch up. Today we are going to look at the Korean consonant “ᄏ” which has a sound similar to an English “K“. Here are a few good examples of “ᄏ” being used in the following Korean words: 커피 (Coffee), 캐나다 (Canada) and 코 (Nose). Welcome back for this weeks word number four for things around the bathroom. Moving along from yesterdays word Shower we have a bathroom favorite Toilet Paper or 휴지 in Korean. Welcome back for this weeks word number three for things around the bathroom. Moving along from the Sink we have Shower or 샤워 in Korean (sounds very similar). Often in smaller studio or officetel apartments in South Korea a shower can often by connected to the sink, and the bathroom as a whole is more of a wetroom style. 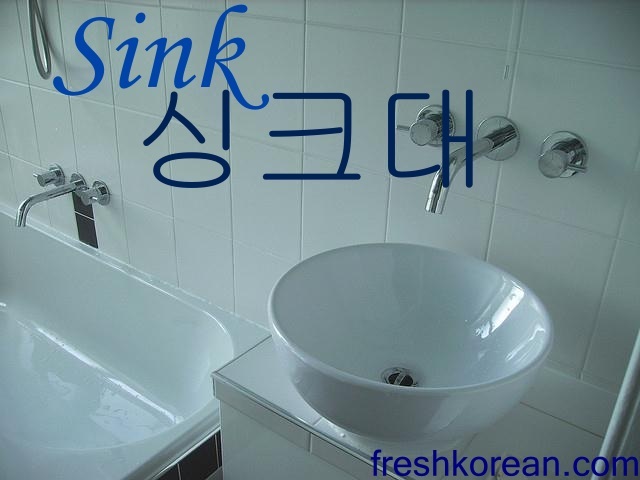 Welcome back for this weeks word number two for around the bathroom and moving along from the Toilet we have Sink or 싱크대 in Korean. 싱크대 sounds very similar in English and Korean apart from the ending in Korean is 대. A sink in Korea as you might expect is the same as in any other country.